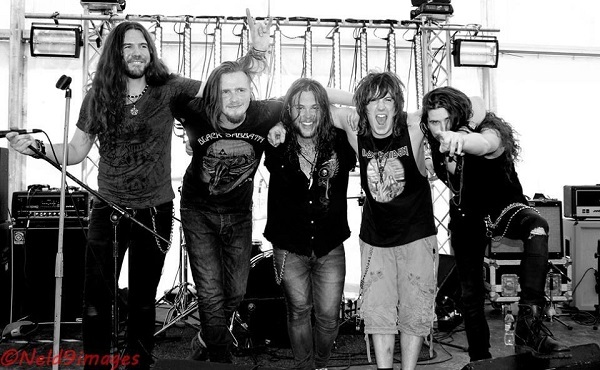 Frontiers Music Srl is excited to announce that BIGFOOT, a superb hard rock band from Britain, has just signed to the label for a multi album deal! Formed in the spring of 2014, Bigfoot consists of members from various bands from the Northwest England rock scene that combines powerful vocals, dual lead guitars, and a heavy driving rhythm section. With influences stemming from many different rock genres, from the likes of the Eagles to Pantera, this is a band that can be appreciated by a wide range of music fans. Since forming, Bigfoot have toured constantly around the UK and landed slots at the likes of Breakout Festival 2014, Bloodstock Festival 2015 and Hard Rock Hell 2015. Bigfoot has already released two EPs (self-titled and “Stone Soldiers”), which both received great critical acclaim from the press, and they are set to commence the recording of their debut full length album after the summer. The band says, "We are absolutely thrilled to join the Frontiers family alongside so many of our musical influences and heroes. We hope that together we will have a long and successful relationship and we can't wait to release our debut album in 2017."